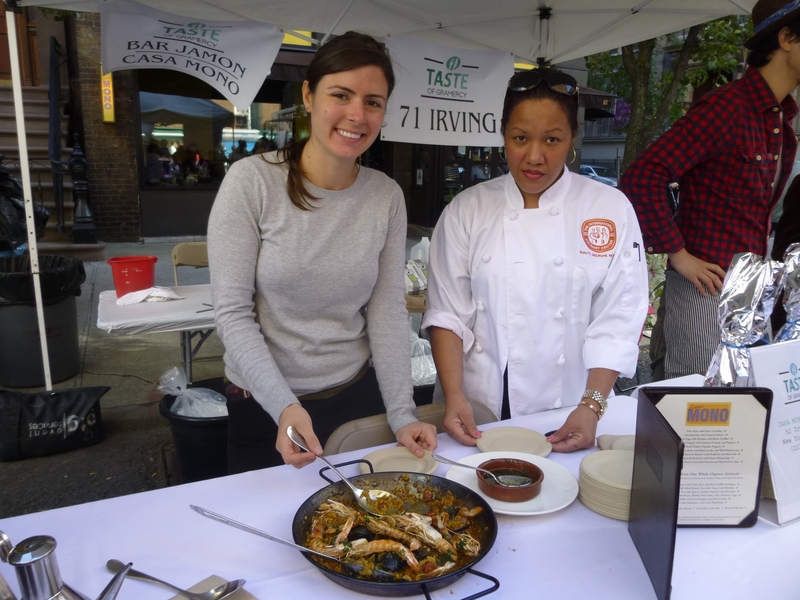 Back for its sixth year, Taste of Gramercy Neighborhood, hosted by Gramercy Neighborhood Associates, Inc., will return to Irving Place on Saturday, September 29. This year, the food festival and fundraiser will offer tastings from 25 eateries. Each year the event has grown in popularity, with the restaurant owners often the ones to reach out to the event’s organizer to participate, the GNA’s president, Alan Krevis, said. “We’re happy to have the restaurants back with us and we appreciate all the people who’ve been supporting us for the past six years,” he said. Over the years, the event, which takes place under an open sky, rain or shine, has been frequented by tourists but mostly attended by local foodies. On Tuesday, June 19, artists and their friends and followers packed the Salmagundi Club in Union Square for the Gramercy Neighborhood Associates art show opening. Around 60 artists showcased 90 pieces, mostly paintings and photos, at the venue, where art could be viewed from Monday to Friday last week. Later, the GNA announced that it was one of the most heavily attended events ever at Salmagundi. The art show is an annual event though this year it returned after a two-year hiatus and this was the first time it was held at the Salmagundi Club. Most of the artists were residents of Gramercy or Stuyvesant town, though the exhibit was open to others as well. The project was in the works for the past two years, and was the idea of East Midtown Plaza resident Michelle Deal Winfield. The Children’s Court used to be located on East 22nd Street, in what is now home to Baruch College’s Steven L. Newman Real Estate Institute. Today, there is just a bit of lingering evidence as to what the building’s prior purpose was, like the marble water drinking fountain built specifically for a child’s height, as well as some of the stairs in the building that are four and a half inches high instead of the standard eight. According to Gramercy: Its Architectural Surroundings, a book published by the Gramercy Neighborhood Associates in 1996, a court for children was first established in Manhattan in the former Department of Public Charities Building on Third Avenue and 11th Street. This was in response to a push by reformers to treat juvenile delinquents differently from adult criminals and take their family circumstances into account. However, this court, a division of The Court of Special Sessions, was still required by law to treat children in the same manner as adults. The Paul & Jimmy’s stand served homemade meatballs and sauce. The Gramercy Neighborhood Associates, which curates an exhibit at the National Arts Club each year featuring works by local artists, said that this year’s was the biggest show yet with around 100 works on display. This year’s show will also be the longest, having kicked off on March 15 and running through March 25 in three out of five of the club’s gallery spaces. On the night of the opening reception for the show on March 17, Alan Krevis, president of the GNA, figured there were about 300 people in attendance, as he peered over the sea of heads. This is normal for the GNA’s art openings. 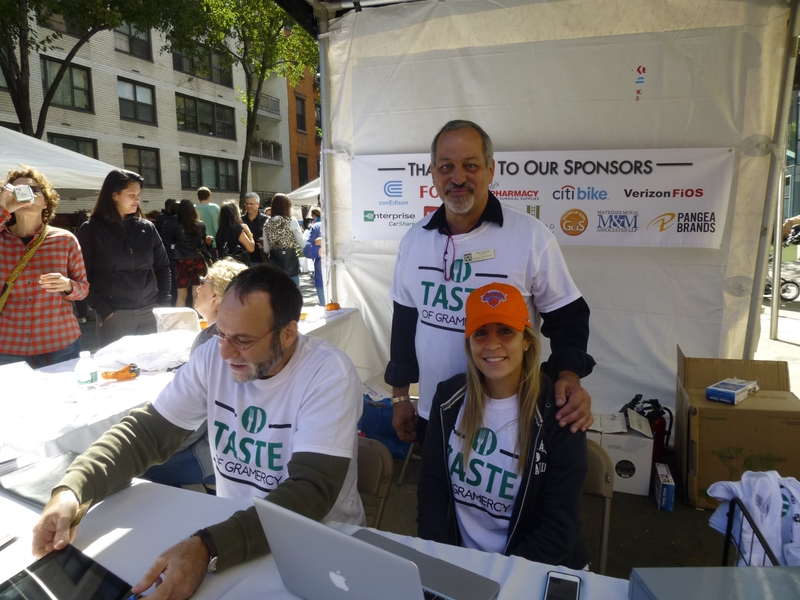 Taste of Gramercy Neighborhood, an annual food festival/fundraiser organized by the Gramercy Neighborhood Associates, is returning this year on September 26. This is only the third time the event’s been held, but it’s already become a yearly event due to popular demand of both local foodies and neighborhood restaurants. Ironically, when first presented with the idea for a food festival by a group member, Alan Krevis, president of the GNA, was against it, thinking it would be too big for the organization to pull off. On May 16, the Gramercy Neighborhood Associates and friends and supporters of PS40 held a Clean and Green event aimed at cleaning up Augustus St. Gaudens, the playground next to PS40 on Second Avenue. Numerous kids from the neighborhood were among the volunteer crew and there was also a caricature artist and balloon artist at the event. Additionally, a Latin music band who’d been busking on the subway played an impromptu concert. On Tuesday night, the Gramercy Neighborhood Associates kicked off its annual community art show at the National Arts Club, featuring 85 works by nearly as many artists. The art included paintings, drawings, prints and photos as well as some multi-media pieces. Most of the artists were residents of Stuyvesant Town and Gramercy and many were members of local civic groups. One artist, Claude Winfield, also a Community Board 6 and Tilden Club member, had created beaded portraits of John Coltrane and Duke Ellington. Winfield, of East Midtown Plaza, said his beaded works take anywhere from 20-40 days “over a span of time” to create. He uses African seed beads, explaining that various colors have different meanings. “Like a teacher would wear beads that are yellow and green,” he said. Winfield discovered the art form when he worked as head docent at the Museum for African Art and became inspired by a show there. “Before that I did lithographs,” he said. Also in attendance was former GNA President Edith Charlton, who said she’d been the one to start the event, although she couldn’t quite remember when. She believes it’s been running for at least 10 years though. She recalled how the club’s president at the time when she pitched the idea, O. Aldon James, was very receptive to it.